The State of Pennsylvania stretches nearly 300 miles East to West. Right smack in the middle sits State College, home of Penn State University, Mount Nittany, the famous grilled stickies, the infamous strawberry waffle and more. State College is more than PSU, though. Over 40,000 residents call this college town their forever home. Stopping by or thinking of moving to this town? You’ll find plenty of things to do in State College on and off Penn State’s campus. 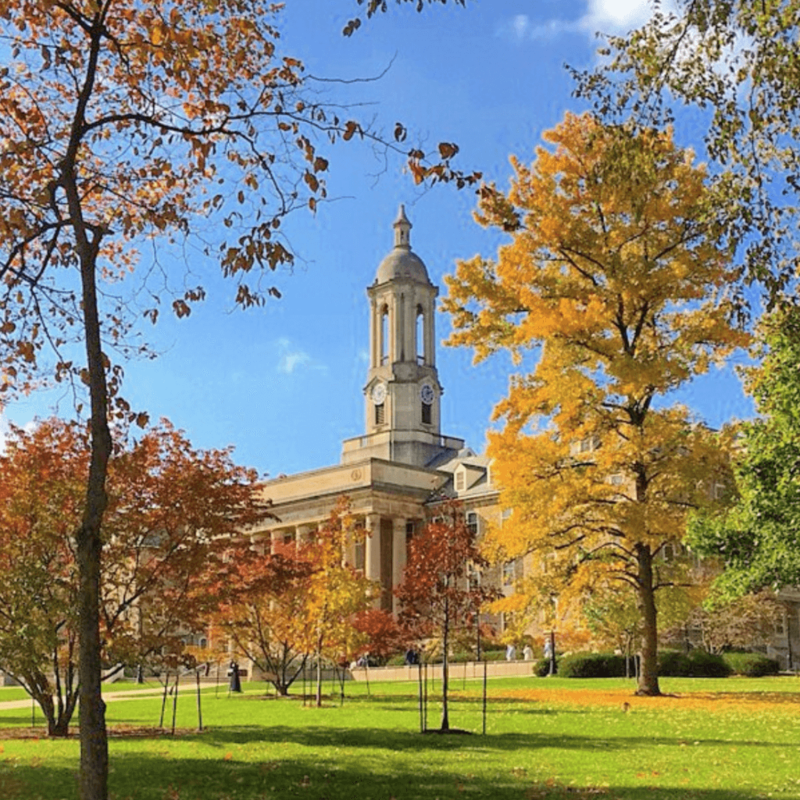 Keep reading for 24 things to do in 24 hours in State College Pennsylvania from forever Nittany Lions. Start your day at the Waffle Shop. They have four locations for a reason. 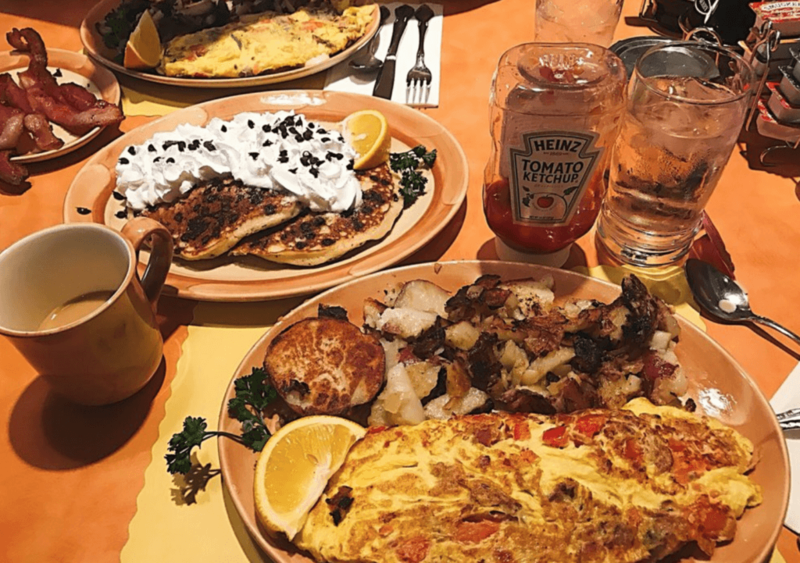 Order the strawberry waffle, savory chocolate chip pancakes or one of their loaded omelets. Don’t forget to order a cup of warm hot cocoa topped with whipped cream. Local Teeona Breon said Waffle Shop’s food tastes exactly like her mom’s cooking. “They give you an at-home breakfast feel but you don’t have to cook. They are also reasonably priced on weekday,” Breon said. At 6 a.m. you won’t worry about a long wait so don’t hesitate to get your breakfast fix at Waffle Shop. 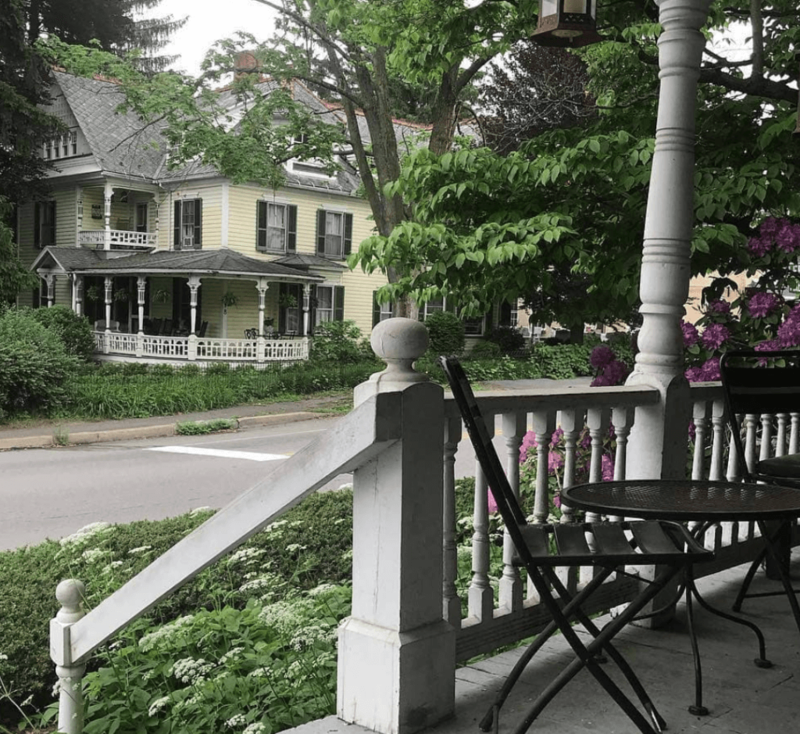 With fast service to accommodate, you’ll whiz in and out in no time to explore the rest of this central Pennsylvania town. Burn off your breakfast with a hike on the famous trail of central Pennsylvania that leads to an overlooking view of State College. 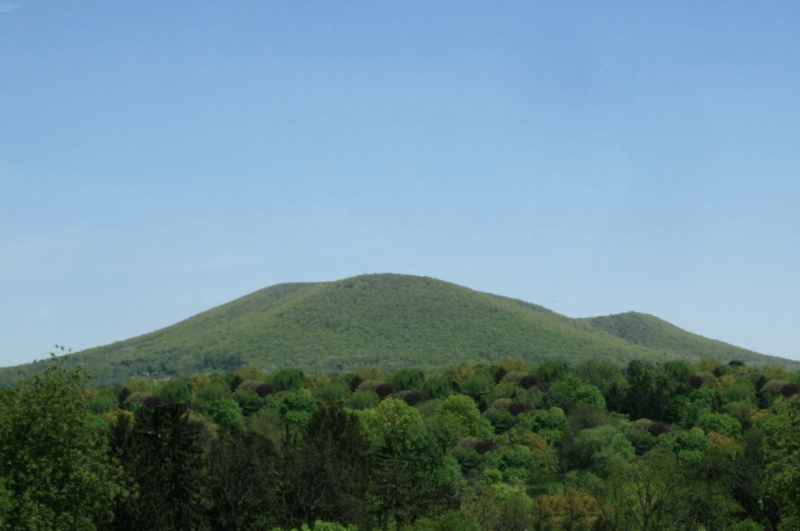 Named after a Penn State folklore princess, Nittany derives from the Algonquian root “Nit-A-Nee,” meaning single mountain. Make sure to type in Mount Nittany trailhead on your GPS so you get to the right spot. The view of the Alleghany’s in the morning haze will make you appreciate the beauty of Pennsylvania. Chill out after the hike at Webster’s Café. This local café overflows with stacks of records and books. 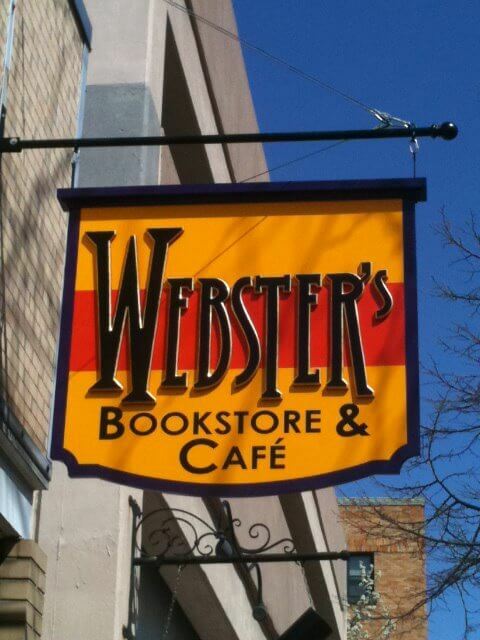 Webster’s also serves great drinks and baked goods. On Sundays they whip up a vegan brunch with dishes like breakfast burritos, portabella pesto melts and vegan waffles and pancakes. Check out the events Webster’s hosts like poetry readings, Tango and LGBTQ+ nights. On to more nature! You can’t miss this beautiful botanical garden when you pass through State College. “It’s a perfect place to take photographs or simply just gaze at all the beautiful flowers and plants. It was definitely a great addition to the town,” said Point Park University senior Megan Greeley-Irwin. A gift from Penn State University, the Arboretum harvests nature, science and beauty. 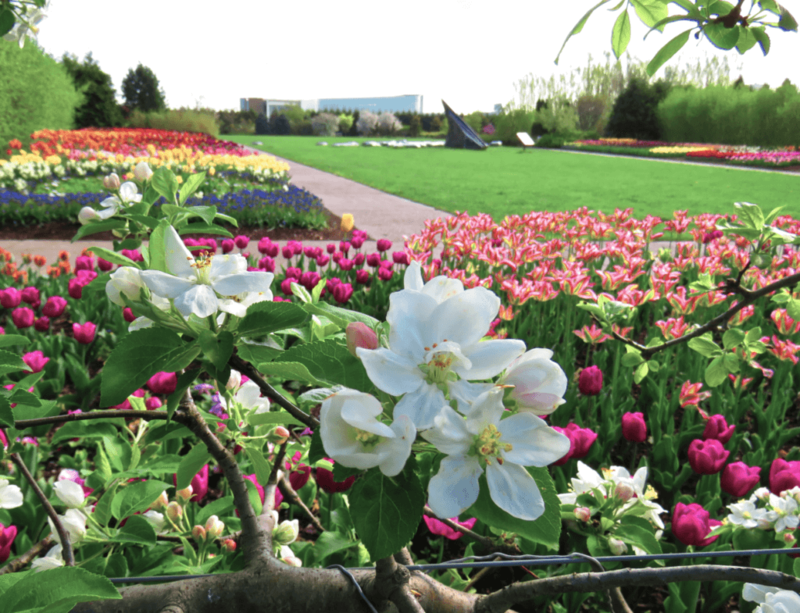 Take a stroll to admire mother nature’s creation as you see various flowers like tulips and magnolias in the Marsh Meadow and roses and other aromatic plants in the Fragrance Garden. Stop by the Oasis Garden and lotus pool that features exotic blooms. Gardens and groves consume this area of State College, think like a botanist for a smidge of your day. 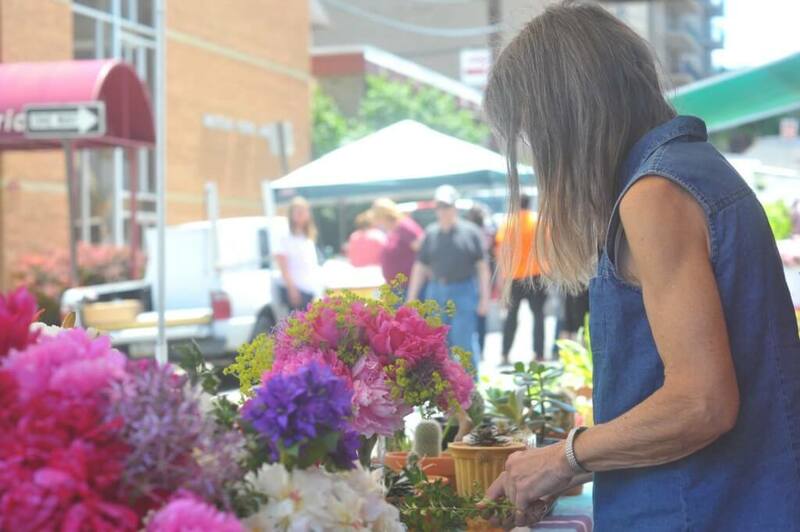 Browse locally-grown food, plants and more at the weekly farmer’s market in downtown State College. The Amish, local vendors, and businesses bring their fruits, vegetables, baked goods and jams every week to supply our local community with fresh eats. Aside from their homemade and homegrown supply, they sell in-season flowers like tulips and sunflowers. Grab your new succulent or a bouquet for your lovely lady or your dapper dude. Support local growers while also getting high-quality products. Hit up the Palmer Museum of Art while swinging by the PSU campus. This museum rotates exhibits every few months and displays art from around the world including America, Europe, Asian and Africa. 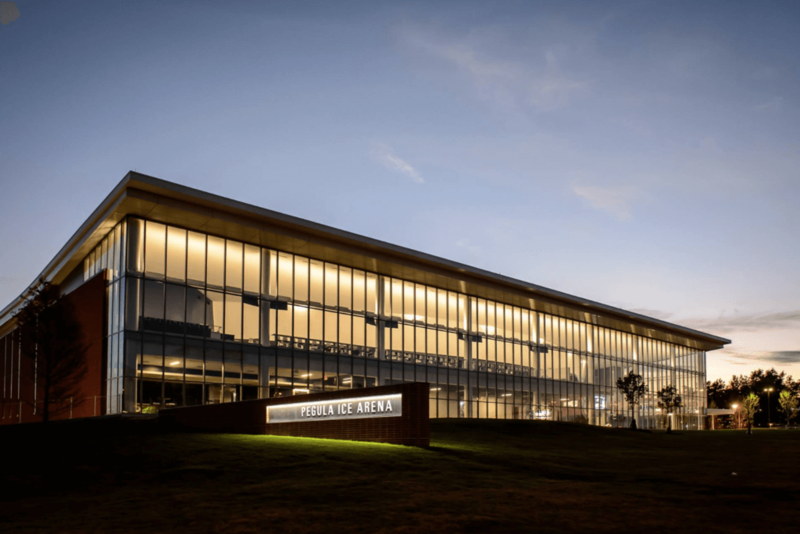 “They always bring in new exhibits, they are also really good at hosting events, like the sophomore theater class performances where they take the audience on a story throughout the museum. They also have an event called Art’s Crawl where bands come in and play,” said Penn State senior Julie Hunter. Drop in to see what artistic creations arrived this month. Their first-floor features traditional paintings and sculptures inspired by the early art ages. Go up the stairs to see what modern art they have in store. 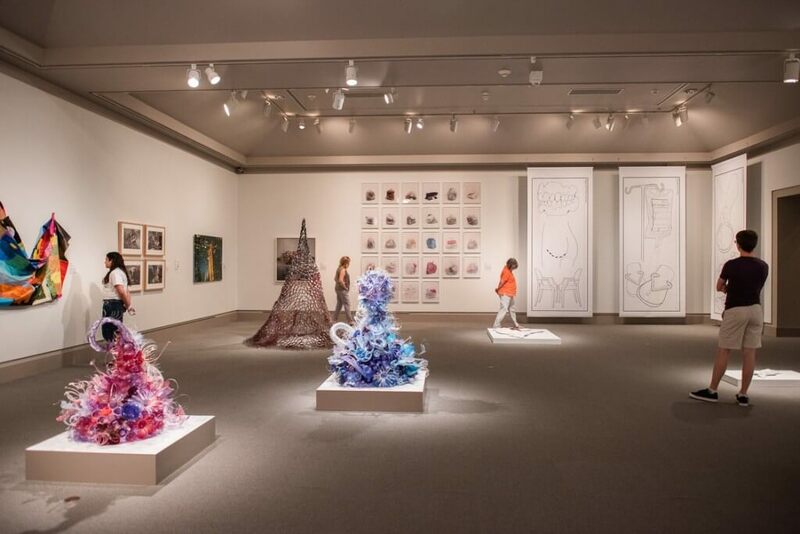 This spring featured a Plastic Art exhibit where artists from all over recreated post-consumer products like plastic bottles, bags and more to create different sculptures of art. And with free admission, you may want to explore this museum all day long. Go retro for lunch with Baby’s Diner burgers. This 50s style restaurant will give you major Grease vibes. 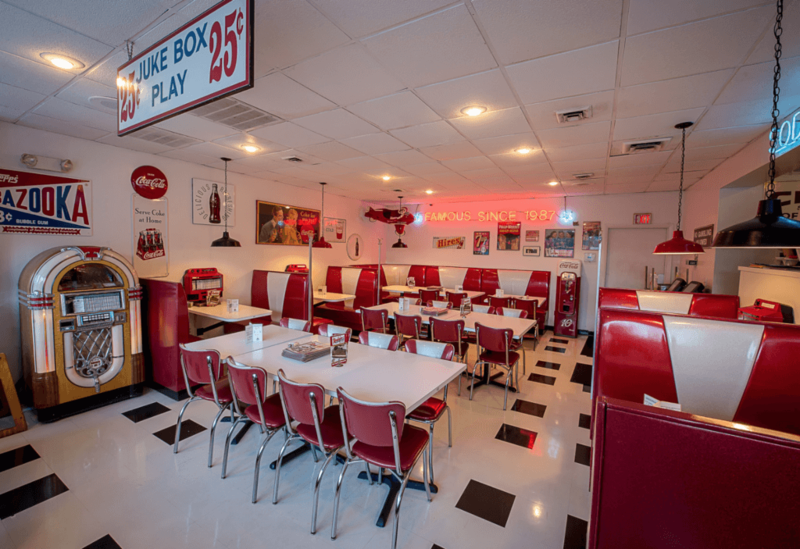 The staff dresses in old-school diner wear while you sit in shiny red and white booths lined with black and white checkered floors. Don’t forget a milkshake and a cherry on top to pair with their staple Whimpy Burger Basket that comes with fries and a pickle spear. Or try their Mac Attack burger, heaped with creamy mac-n-cheese with hush puppies on the side. Babies’ nostalgia décor will fit the vintage vibes you want for a latest Instagram post. Explore the 7,000-acre Stone Valley forest starting at Shaver’s Creek. 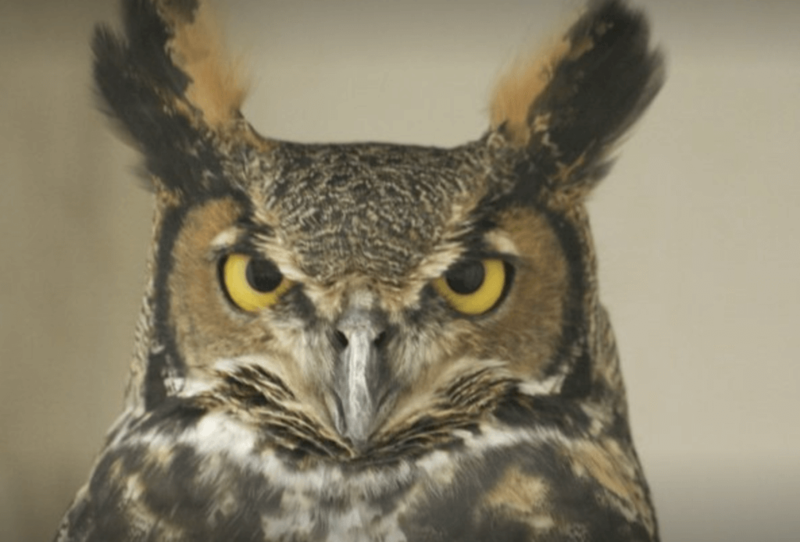 Check out the Raptor Center to get a close look at over 20 hawks, owls, eagles and falcons all for free. The staff takes great care of their rescued birds, giving them a safe haven to heal and recover from their injuries. Throughout the year Shaver’s host’s different events like the Maple Harvest Fest, Halloween Trails, Native Plant Festivals and Migration Morning Bird Walks. They take the initiative to educate the public about the local environment while also informing visitors on how to protect the planet. Get ready to get creative. 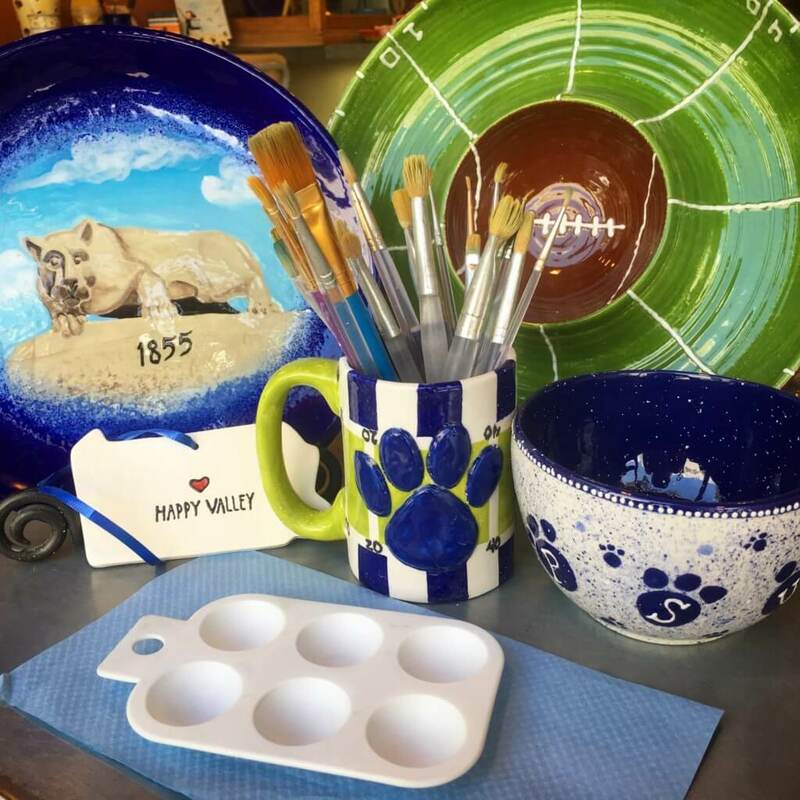 This paint-your-pottery studio will give you high school art class vibes. Paint a picture frame, mug, shot glass, plate and more while designing your own aesthetic. Pick from dozens of colors, stencils, sponge textures and puffy paint designs. Each creation will turn out different. And you don’t need to paint like Michelangelo to feel welcomed here. Relax and create a piece for yourself or as a gift at 2000 Degrees. Are you a sportso? If so, visit the Penn State All-Sports Museum located in Beaver Stadium. You can also get a view of the stadium that holds 106,572 people every college football season. 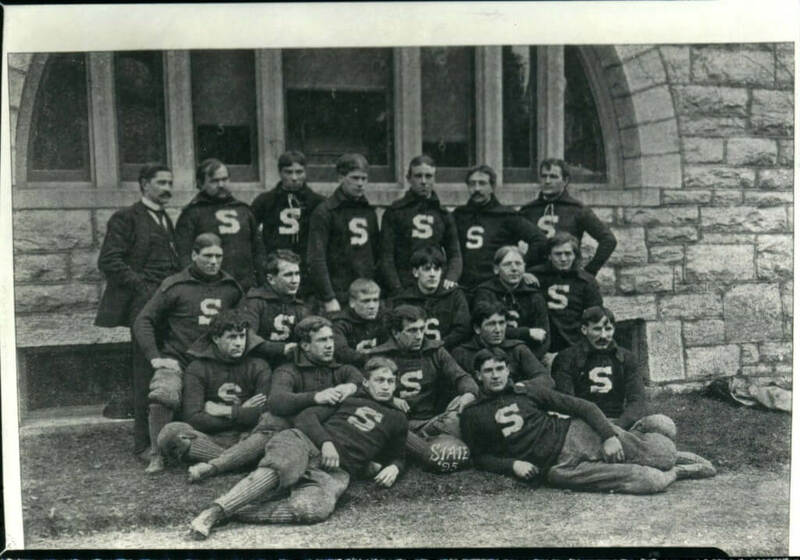 Exhibits include sports achievements from every sport Penn State has, like football, wrestling, boxing and even swimming and diving. Floor-to-ceiling visuals, archived photographs and personal athletic equipment make up this two-story museum. Sit back on Old Main. Bring a blanket and relax on their lawn while catching some sun rays. “This is my favorite place to chill out on campus when the weather is nice. People are always out here hammocking, playing volleyball and having fun,” said Penn State senior Anna Warren. As a student, we love that Penn State maintains its quads so we can unwind at in-between class or during the weekend. Grab a pick-me-up in the quaint town of Lemont to energize you for the rest of the day. The eco-friendly and eclectic coffee house offers an extensive menu serving breakfast, lunch and dinner. “This is the perfect stop for any time of the day. They have great café drinks and bakery items. Definitely my favorite café in town,” said Penn State junior Kyle Smith. Local favorites include homemade granola, smoked salmon BLT and vegetarian chili. Café Lemont serves organically-roasted coffee from around the globe fresh every day. Or opt for made-to-order mochas, chai lattes, Americanos and more. Roll around the rink at Pegula Ice Arena. Typically known as the hosting ground of Penn State Ice Hockey teams, they also have a community rink. Rent a pair of skates with your friends or fam and enjoy flying around the public skate arena perfecting your ice skills. Go-Karts, mini-golf, driving range, batting cages and a skate park come together in one place at Tussey Mountain. Pick your favorite recreational activity for an afternoon of fun. “My favorite thing to do here is the driving range. You grab a bucket of balls for only $10 and have an hour’s worth of fun,” said Penn State junior Christie Reaper. 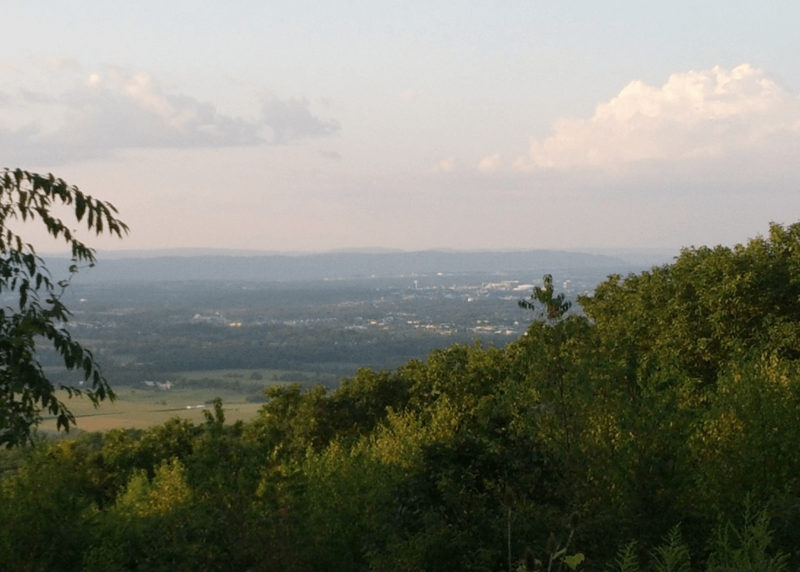 Located at the base of Tussey Mountain, you’ll catch a great view of the sunset peeking over the rolling hills. Go up the road a little to find endless hiking trails and look-out points. Take an evening drive to catch the sunset over Happy Valley at Jo Hay’s Vista. This lookout sits on the top of a hill so you can literally drive right up to it. Behold a beautiful view of central Pennsylvania’s farmlands and State College staples like Beaver Stadium and Mount Nittany. Check out the “old ball game” while also supporting your local minor league team. The State College Spikes baseball team play all summer long with multiple games per week. “They always have great beer specials, me and my friends love hanging out and relaxing while watching the baseball game,” said local Alex Miller. 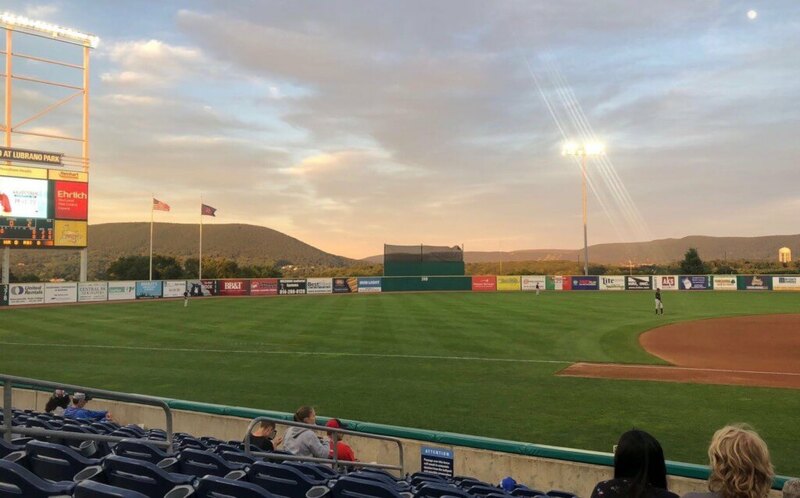 Grab a hotdog and a beer as you look out to Mount Nittany from the stadium. The perfect summer night awaits at a Spikes game. 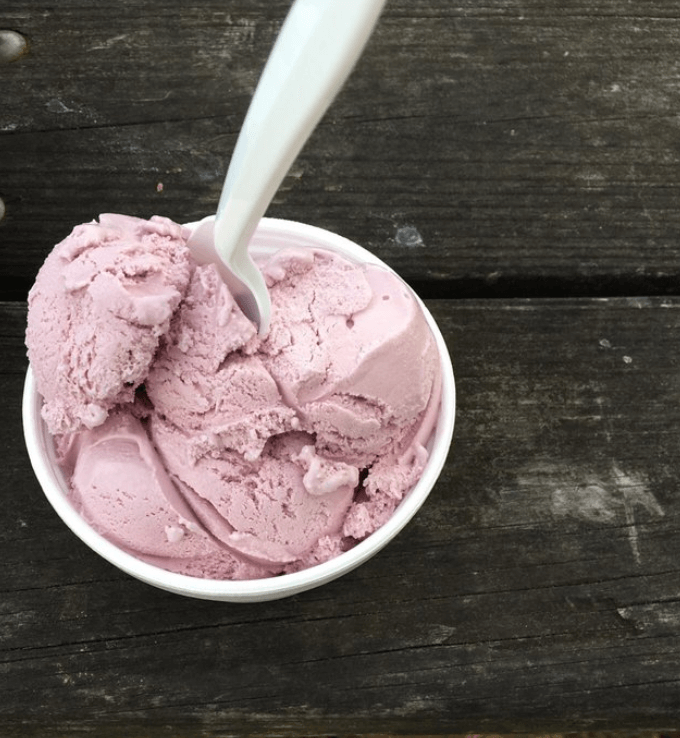 Serving the State College community for over 100 years, Meyer Dairy overloads with customers with the best ice cream in town. “Literally one of my favorite places in town, they have the best ice cream hands down,” said local Rachel Bestow. The farm sits right behind the shop so the products always stay fresh and locally made. Plus the ice-cream making process happens on site. The high-quality milk makes Meyer’s the least processed ice cream you’ll probably ever eat. Try their Cherry Hill special, vanilla ice cream infused with maraschino cherries. Looking for something lighter? Stop in for wholesome chocolate milk or homemade lemonade. Catch a showing at the State Theatre. 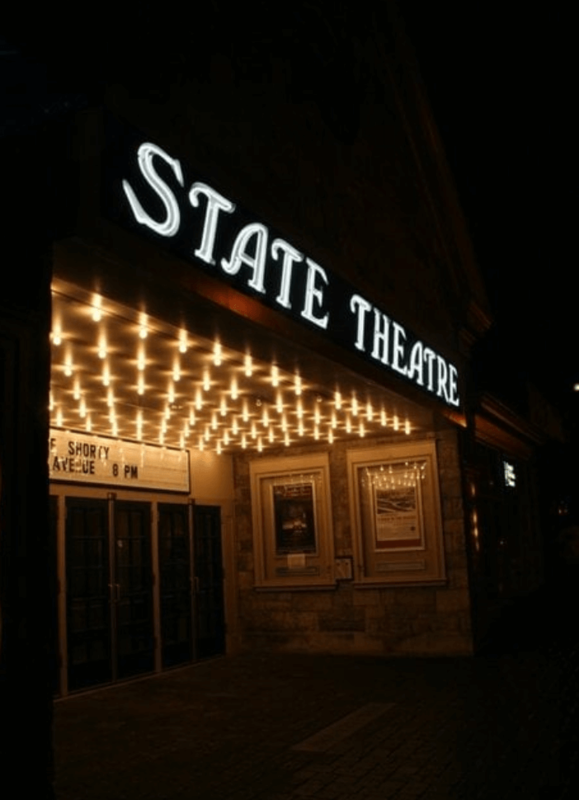 This non-profit theatre at of State College hosts music, live performances and movies. In the heart of downtown State College, find out what show premieres that night. Previous shows included jazz series, local improv groups and Fleetwood Mac tributes. And every Monday of the summer, the theatre plays different films. 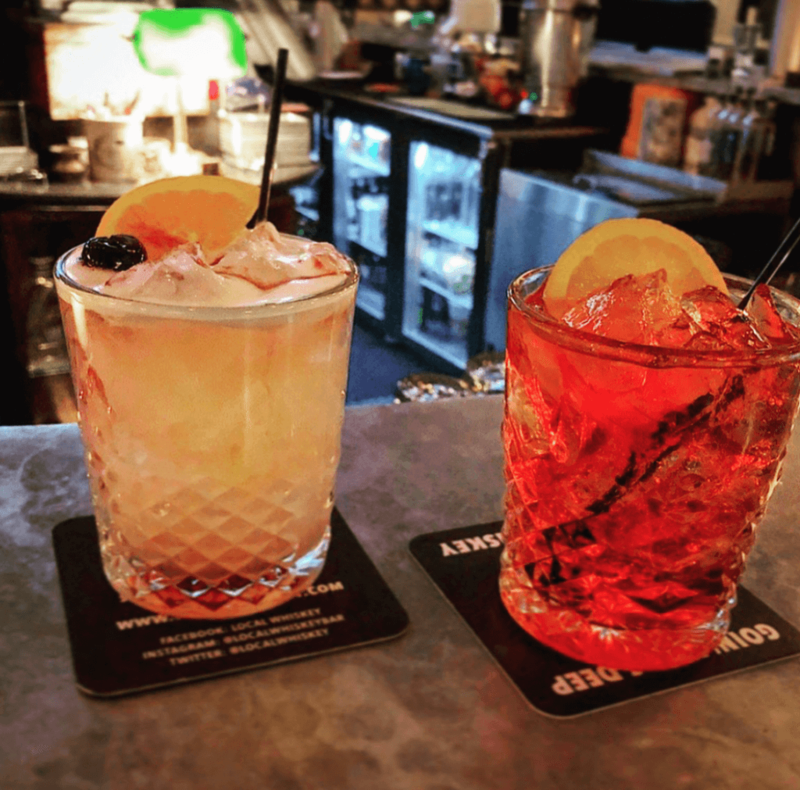 Hit the late-night bar and head over to Local Whiskey for homemade whiskey sours and great bourbons and ryes. Susquehanna University senior Charlie Riley said Local Whiskey has good drinks and a great atmosphere. Local Whisky will get you buzzed for the rest of your night. Grab some bar food snacks like fries or shepherd’s pie pub grub. Chill out at Chronic Town Hookah Bar and Lounge. 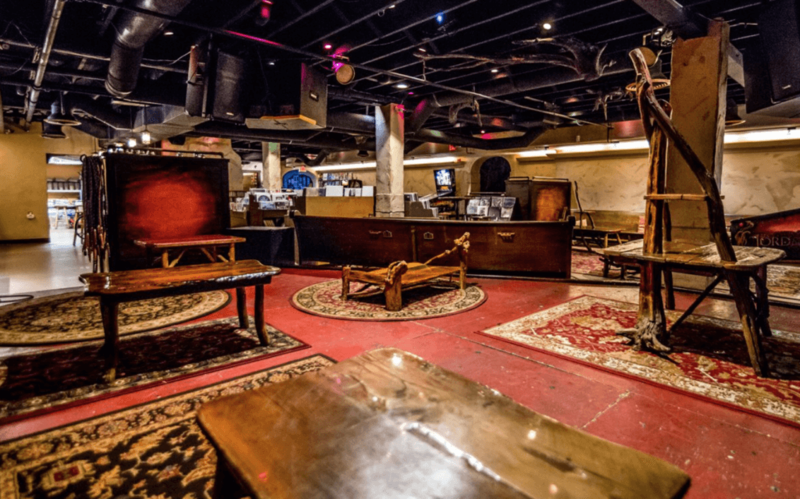 This underground stop has records, café drinks and sodas, pinball arcade, hookah, food and pipe and vapor accessories. “They bring in really cool bands and have good shows. Also, they have a really good record selection and dope video games. Just the environment is nice,” said Clara Beltrandelrio senior at Penn State. Get your pinball game going or try a new flavor of shisha while listening to music. Make sure to stop by when they host concerts or drag shows. End the night off with the late-night crowd. 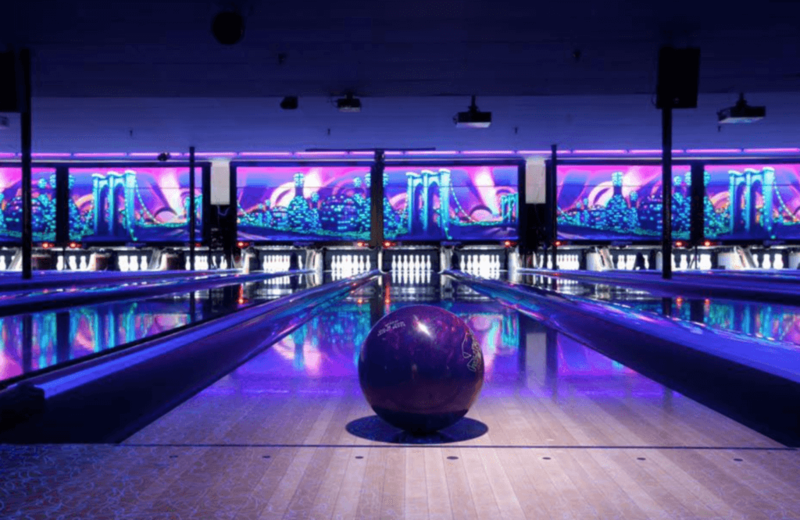 Lucky for you State College’s Northland Bowl and arcade center makes for perfect 2 a.m. activity. Order some curly fries and soda while you get your bowl on with friends. You can also play a round of pool in-between your matches. May the best bowler win. Challenge your squad for a competitive game of laser tag. Get into battlefield mode while teams play each other in rounds with infrared laser guns. The blacklight indoor course in What-A-Blast has high walls that make for great hiding spots. 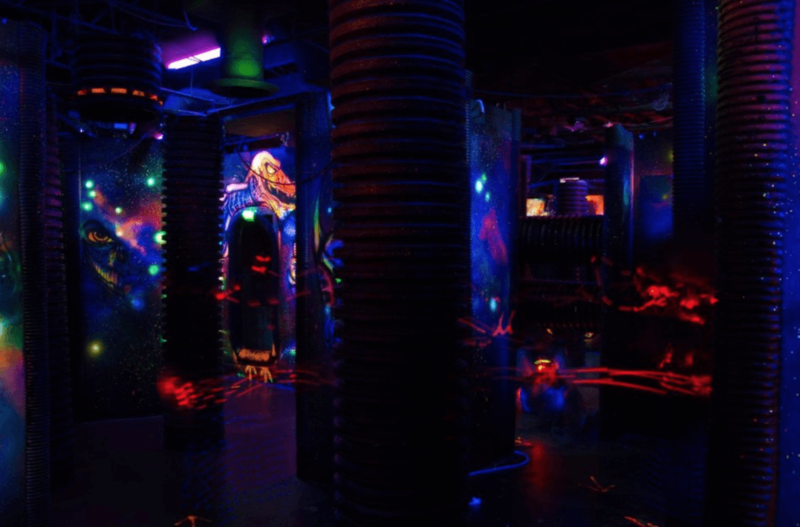 The painless game of laser tag will make your adrenaline rush. Take a late-night stroll to the lit-up Lion Shrine. 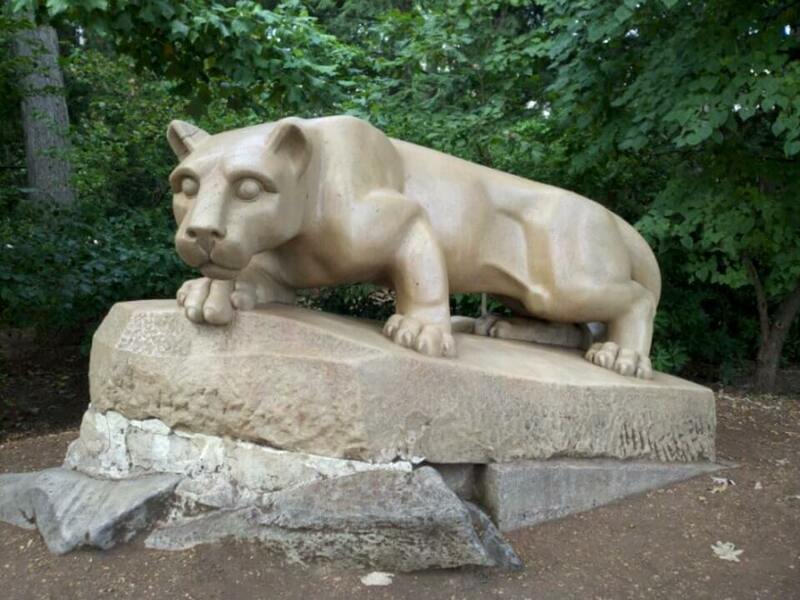 The life-sized stone mountain lion’s determined face reflects Penn State’s diverse student body and strong athletics. If you visit Penn State, you must visit this landmark. This place fills with people during graduation season with a line waiting for pictures. Make sure to snap a pic and rub the Lion’s ears for good luck. 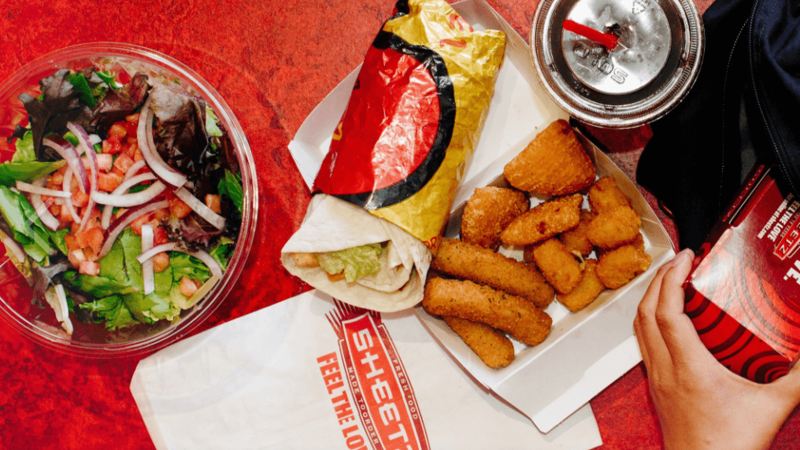 Get your late night greasy eats and sweets from Sheetz. Their kiosk service allows you to choose from breakfast, lunch or dinner at any time of the day. Satisfy your sweet tooth with endless candy and snacks. Or pour a generous serving from the slushy machines. Anything you crave at any time of day, Sheetz can make it happen, even smoothies, milkshakes, or soda fountain drinks. Rising senior at Penn State studying advertising with a minor in Spanish. Corey enjoys learning new things and having new experiences. She also loves traveling and likeminded individuals. Who’s Behind the Penn State’s THON, the Largest Student-Run Philanthropy in the World? Next Post: If You Haven’t Heard These 10 Things, Do You Even Go to the University of Florida?